Kingsmouth Town (379 , 1002) | ??? 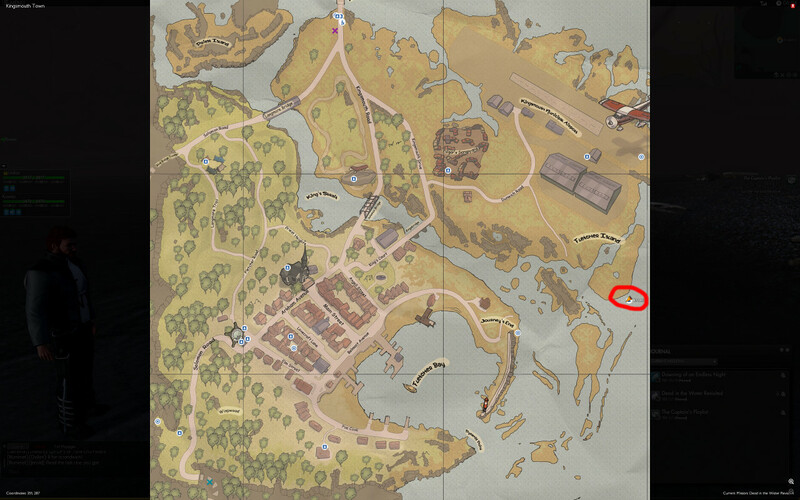 The quest starts at a boat under the bridge at the very north of the map. 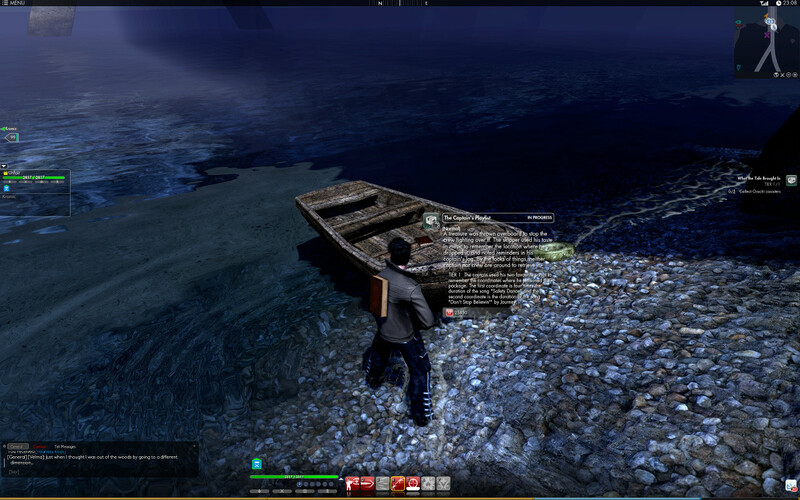 In The Boat – Click The Clicky.. So, if you have these songs in iTunes (which you should..) Finding these answers should be easy. 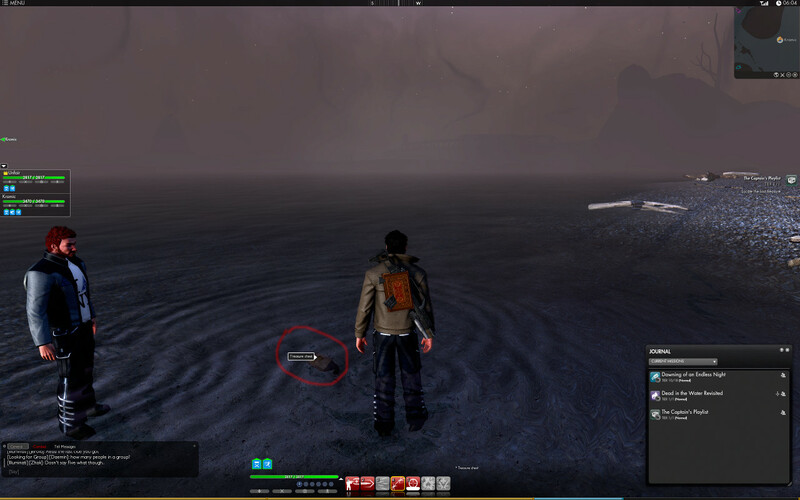 Plotting the coordinates on the in-game map takes you directly to…. Grab the box, and you’re done! Depending On Your Camera Angle, This Can Be Difficult To See..
Did they remove this? It does not show anymore. I’m not sure, I’ll try to verify later today, but last time I tried to go ‘re-do’ it to collect the mission ending info, I couldn’t pick it up again! Technically, this plays out like a mini-investigation mission, so it is possible that if you’ve already done it once, you can’t do it again! I’ve love to get verification from anyone else who has had the same experience to this point. Unless they changed the mission since we did it – the instructions are valid. Since I’m unable to pick up the quest again on my main character, I’ll try to make a new character to verify they haven’t altered the mission. What your post does tell me, is that the mission is still there! So that’s a good thing, as Sat (the comment below) thought that maybe it was removed. As of 8/14 both the mission and chest are where they should be. Aargh, this is ridiculous. 4 times the length of the Safety Dance track would be 11 minutes and 8 seconds IF you are counting the length of the single release. If you multiply the album version of the song by 4, you get 18 minutes and 24 seconds! For such an intelligently-written game this is very surprising. Double points for the Men Without Hats, but points off for Journey.